Framing Collesalvetti are the rolling Livorno hills and a Mediterranean greenery that, with its fragrances, shows us how close the area is to the sea. 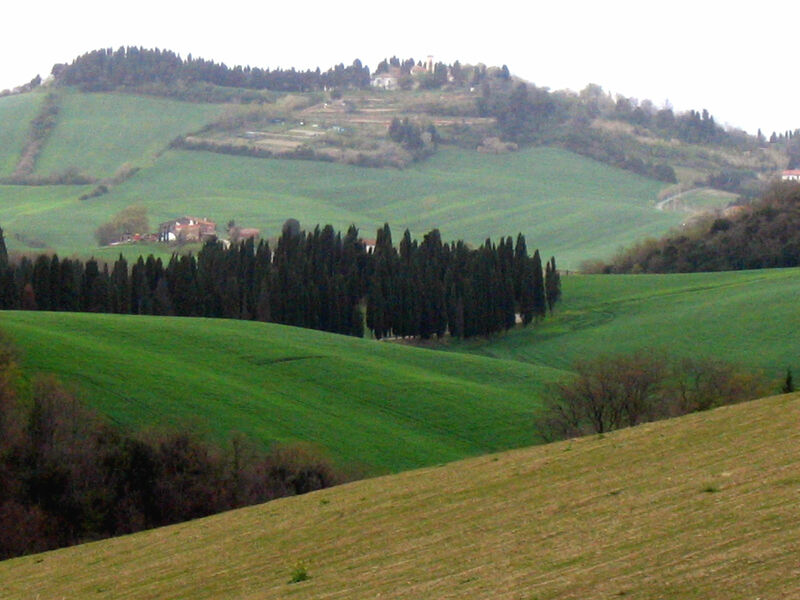 The landscape around Collesalvetti are quintessential Tuscany, with cypress trees that seem to run on endlessly and wheat fields that in the appear as if they were absorbing the sun itself. At the same time, the landscape is unique, standing out for its precious natural resources and works that humankind has expertly created in this setting. Standing on the border between the municipalities of Livorno and Rosignano Marittimo is the Monti Livornesi Park, a protected area more than 1,000 hectares in size home to wild boars, foxes and weasels that live amongst the colourful Scotch broom and forests of oak and cork trees. The Contessa Oasis is also dynamic, a regional nature reserve and the last remaining coastal marsh in this area. Equipped for birdwatching, visitors can observe the many species who rest here during migration. With guided visits and workshops, visitors can learn about herons and European rollers, as well as the characteristic vegetation of this magnificent oasis. For those wanting to take a walk, there are two roads to take out of Collesalvetti, perfect for two types of travellers. For visitors who love the joy of good drinking, then head down the Wine Trail, while tireless hikers can walk to Livorno along a stretch of the historic Acquedotto Leopoldino, which starts in Colognole and passes through woods and across streams before arriving at the sea. For a more tranquil visit, art and culture are certainly not lacking in this area. In the small villages, there’s the Roman villa of Torretta Vecchia, or in Parrana, the Sambuca Hermitage, once a destination for wayfarers and pilgrims and today a stop on our little holiday.